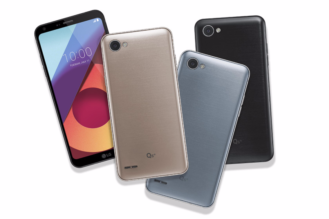 After it leaked earlier today, LG has officially announced the new Q family of devices. To kick things off, the Korean manufacturer pulled the wraps off the Q6+, Q6, and Q6α. The focus behind this new series is to offer some of LG's flagship-level features at a more affordable price point. The first, most striking thing is the display. The keen observer will notice that it looks remarkably similar to the G6's with the rounded corners and very slim bezels. On all three models, you will find a 5.5" FHD+ 18.5:9 "FullVision" screen. LG is really highlighting the sleek metal body, too (and its durability). I have to say, while not quite on the level of the G6, the Q6 series looks nice. Though, unlike its more expensive cousin, none of the Q6s feature a rear-mounted fingerprint sensor nor a dual-camera setup. You can expect to see the Q6 line launch in "key markets" in Asia next month, with Europe and Latin/North America to follow sometime afterwards. Pricing was not given in the press release, but we will update if we receive more information. SEOUL, July 11, 2017 ― LG (Electronics) today announced that the LG Q6, part of its new Q series, will be the first smartphone to offer the FullVision display following the LG G6.The Q series offers many of LG’s most sought-out premium features at a competitive price. 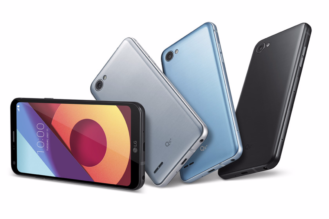 LG’s Q series is the company’s latest line of powerful, mid-range smartphones boasting the essential features of LG premium phones at exceptional price points. As the first in the Q series to be announced, the LG Q6 features some of the most desired innovations from LG’s premium G6 smartphone and packages them in a sleek, stunning body highlighted by its FullVision display with minimized bezels. The Q6 family consists of the Q6+, Q6 and Q6α. The three variants cater to different user groups in terms of memory and storage: the Q6+ comes with 4GB of RAM and 64GB of ROM, the base Q6 delivers 3GB of RAM and 32GB of storage and the most affordably-priced Q6α comes with 2GB RAM and 16GB of ROM. At a time when minimized bezels are an emerging trend in premium smartphones, the Q6 is the first smartphone in the mid-price category to bring this feature to the masses. The unique 5.5-inch FHD+ FullVision display in the LG Q6 with its 18:9 aspect ratio makes video browsing, gaming and multi-tasking more immersive. The smartphone’s “bezel-less” form factor was designed to maximize the screen while still preventing accidental touching of the screen when being held. And the LG Q6 looks good with its minimalist and sleek design. With no unsightly camera bump and sleek appearance, the Q6 features attractive curves with rounded corners of the body matching the corners of the display. Packaged in a stylish metallic frame, the Q6 manages to be both lightweight and sturdy for a more durable day-to-day usage experience.And not only does the Q6 look good, it is extremely easy to use. Benefiting from ergonomic research during the development of the LG G6, the Q6 is also comfortable to hold and use with one hand. In another nod to user convenience, LG’s proprietary Face Recognition feature allows owners to unlock the Q6 faster and with less hassle than other facial recognition technologies currently available. As expected, the LG Q6 carries on LG’s heritage of excellence in optics. 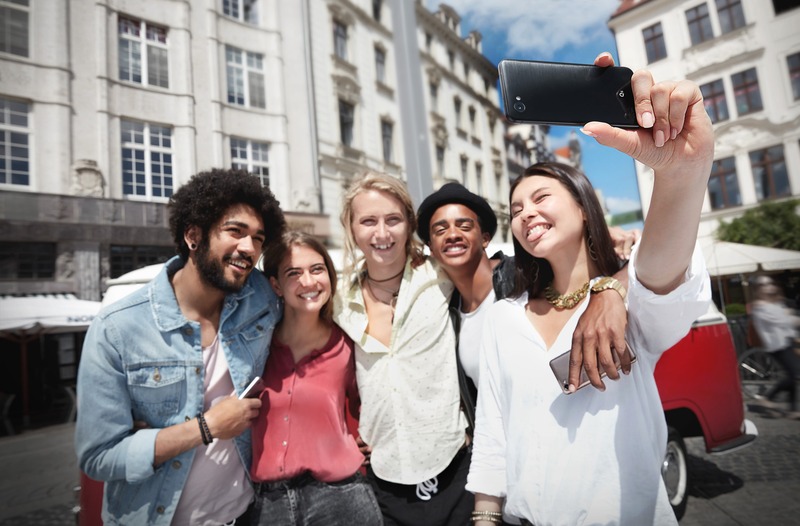 The smartphone incorporates a 100-degree wide angle selfie camera that allows shutterbugs to include a large group of friends and family in the shot without effort. The camera’s improved LG UX 6.0 takes full advantage of the 18:9 aspect ratio of the FullVision display. Square Camera Mode makes it easy to “share your squares” or create photo collages using multiple square images. The LG Q6 is also quite durable. The metal frame surrounding the Q6 is constructed of ultra-strong 7000 series aluminum, one of the highest strength aluminum alloys available and used extensively in industries such as aerospace. The device is subjected to LG’s demanding regimen of over 20 battery tests which include heat, penetration and shock, conditions more stringent than international testing protocols. “The LG Q6 is a blend of premium features, great performance and attractive pricing, a combination that is extremely important to us as we look at the way consumers are using smartphones around the world,” said Juno Cho, president of LG Electronics Mobile Communications Company. “The Q series is our way of getting the superb experiences with the essence of the LG’s premium line-ups to more consumers’ hands and pockets. The LG G6 will go on sale in key markets in Asia starting next month to be followed by availability in Europe, Latin America and North America onward.